Hybrid manicure looks really nice, but is it truly safe for your nails? As it turns out it isn’t. Popular lately hybrids weaken and damage nail plate. If your nails also look like this, you should probably quit hybrid manicure for some time. Check out below, how to regenerate damaged fingernails. Nail plate is frequently weaken after long lasting and regularly performed hybrid. Nails are then brittle, breakable, soft and discoloured. Moreover, there are problems with application another hybrid. On damaged nails, lacquer will not last, but will chip. How to deal with it? The simplest solution is to quit this manicure and start nail plate regeneration. After several months of intense treatment all should be back to normal. Your nails will be ready for the next stylisation. Nails need to be given a time to rest after long lasting hybrid manicure. First, you should remove old nail polish; do it carefully to avoid damage to already weaken nail plate. Then cut them short, so that they could strengthen on its own and grow back. Right after these treatments apply oil for nails. Best is to do it everyday, because hybrid causes dryness. Great solution is use of regenerative conditioner and dietary supplements, but also ingesting food that has beneficial impact on hair, skin and nails. Such products are for example: seeds, bran, lean chicken meat, eggs, groats, fish, linseed oil and olive oil. Regenerating treatment of this sort should last at least a month. 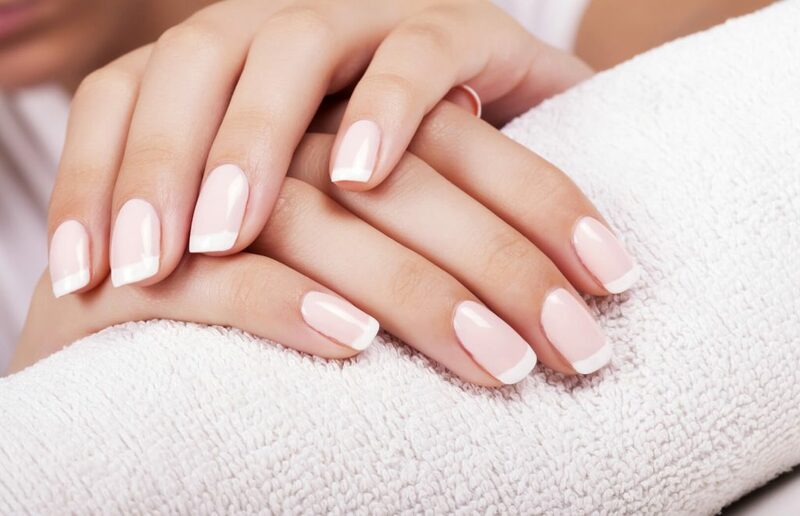 If you planning on your first hybrid manicure or to do it after a longer break, ask your manicurist to use protein base. This cosmetic can be used prior to every manicure. Protein base will prepare nail plate for the treatment, strengthen and nourish it. The cosmetic contains vitamin E and B5, which are known to have regenerative properties and to prevent further damage.